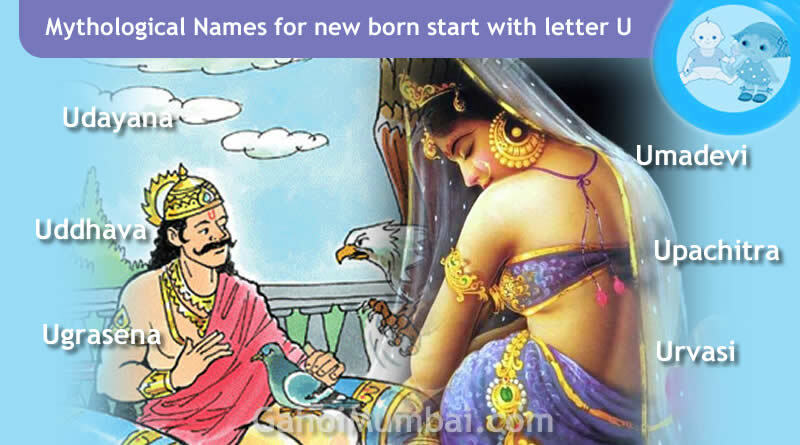 Mythological Legendary Names for new born start with letter U! 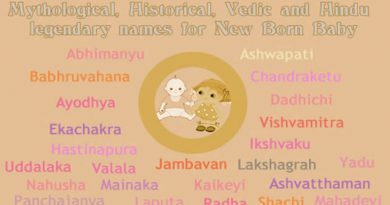 GahoiMumbai.com provides new born Indian baby Boy and Hindu Baby Girl names here with a collection of good, rare, traditional, uncommon, beautiful, spiritual Mythological, Historical, Vedic and Hindu legendary names for your new born baby with letter U. All names are arranged alphabetically with the meanings. Uchchaihsravas was the white horse of Indra, produced at the churning of the ocean. It is fed on ambrosia, and is held to be the King of horses. Udayana was a prince of the Lunar race, and son of Sahasranika. He was King of Vatsa, and is commonly called Vatsaraja. His capital was Kausambi. Also a name of Agastya. A great sage and teacher of Vedanta. The friend and counselor of Krishna. According to some he was Krishna’s cousin, being son of Devabhaga, the brother of Vasudeva. He was also called Pavanayadhi. one-time King of Yadavas; deposed by his son Kamsa. His wife was Pavanrekha. Krishna killed Kamsa and established Ugrasena on throne. An ancient city in central India , where the ancient throne of Vikramaditya was discovered, one of the seven sacred cities of the Hindus, where the Kumbh Mela is held every twelve years. It is also home to Mahakaleshwar Jyotirlinga, one of the twelve Jyotirlinga shrines to the god Shiva. ‘An owl.’ Son of Kitava. He was King of a country and people of the same name. He was an ally of the Kauravas, and acted as their envoy to the Pandavas. A daughter of Kauravya, Raja of the Nagas, with whom Arjuna contracted a kind of marriage. She was nurse to her stepson, Babhruvahana, and had great influence over him. According to the Vishnu Purana she had a son named Iravat. One of King Dhritarashtra’s sons who perished in the war. A place in Matsya Kingdom, where the Pandavas settled after their exile of thirteen years. A Vasu or demigod, who, according to the Mahabharata, became King of Chedi by command of Indra. He had five sons by his wife; and by an Apsaras, named Adrika, condemned to live on earth in the form of a fish, he had a son named Matsya (fish), and a daughter, Satyavati, who was the mother of Vyasa. Sund and Upasunda were two brave and powerful asura princes who performed austerities to please Brahma, who besowed them the boon that nobody else would slay them, other than each other. Later Brahma created a beautiful apsara Tilottama to create differences within and destroyed them. Second daughter of Janaka; bestowed on Lakshmana. An apsara in Indra’s court, whose amorous overtures Arjuna declined. Wife of Aniruddha, daughter of Banasura. Ushanas were appointed as priests of asuras, who knew the science of bringing to life. Uttanka was a pupil of Veda, the third pupil of Dhaumya rishi. The other two pupils of Uttanka were Janamejaya and Poshya. A son of the Raja of Virata. Uttara was killed in battle by Salya. A daughter of the Raja of Virata. She married Abhimanyu, son of Arjuna. 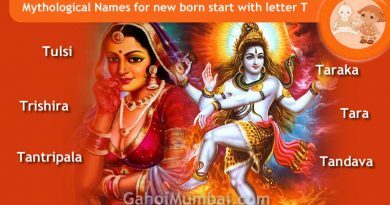 ← Mythological and Vedic Legendary Names for new born start with letter T! 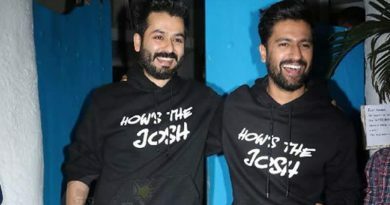 Indian baby boy names start with letter Y! Mythological and Vedic Legendary Names for new born start with letter T!